On August 25, 2017, the United States Gulf Coast was rocked by a category 4 hurricane, Hurricane Harvey. What originated as a strong tropical storm around the African coast eventually became one of the worst major hurricanes to make landfall over the United States. During the course of its 117 hours, Hurricane Harvey caused death, destruction, and despair for those unfortunate enough to be in the path of its wake. News story after news story, we were faced with the devastating scene that was Houston, Texas after Hurricane Harvey. Residential and commercial properties were flooded up to their roofs. Famous landmarks and parks were destroyed. Streets and highways were impassible. We watched all of this unfold from the comfort of our homes. 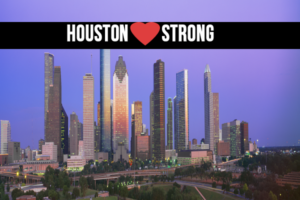 However, while we were all safe, hundreds or even thousands of miles away from the damage, the people of Houston were faced with the devastation and destruction head on. These weren’t just properties that were destroyed; these were their homes, businesses, livelihoods. These were their schools, neighborhoods, memories, their whole lives lost in the blink of an eye due to a natural disaster. Moved by the scene and wanting to help, Premier Financial Alliance jumped into action. Premier Financial Alliance reviewed their options and the best way that they could make an impact to help the people of Houston. That’s when the idea for “Harvey’s Donations” fundraisers came to light. Spearheaded by the SEAL Foundation, a 501(c)(3) non-profit organization founded by the Wu Brothers in connection with Premier Financial Alliance, they set out to raise $25,000 within 5 days (August 31 – September 4). However, in just 36 hours, “Harvey’s Donations” reached its $25,000 goal. In fact, over the 5 days, the fundraiser received roughly $27,000 in donations for Hurricane Harvey. As Premier Financial Alliance reviews the success of their fundraiser, they can’t help but feel grateful for everyone who gave of their own time and money to make this a success. The response to those in need was overwhelming. Thanks to over 100 donors comprised of Premier Financial Alliance agents, SEAL Foundation supporters, and other generous givers, the “Harvey’s Donation” fundraiser was a true group accomplishment. The proceeds from the “Harvey’s Donations” fundraiser will be distributed between organizations: The Chinese Civic Center, an IRS 501 C (3) nonprofit organization that was established in 1995 by Chinese community volunteers and the Hurricane Harvey Relief Fund established by Mayor Sylvester Turner.